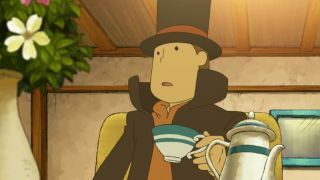 A new Professor Layton game is apparently in the works at studio Level-5, and the developer plans to reveal a slew of details on July 27 at Level-5 Vision 2016. But until then, there's one major detail that Shacknews reports about the upcoming sequel: it won't star the titular professor. A Professor Layton game that doesn't focus on Professor Layton sounds… different, but it's not like this concept hasn't worked before. The animated series Batman Beyond sidelined the Batman we all know and love - Bruce Wayne - to focus on Terry McGinnis. And Princess Zelda was entirely absent from The Legend of Zelda: Majora's Mask. Besides, Level-5 explicitly stated that Professor Layton and the Azran Legacy would be the last game to star the professor, so really, the company is just following through here. Until July 27 rolls around, you can enjoy artwork of characters and locations that will appear in the game, courtesy of Level-5 CEO Akihiro Hino.